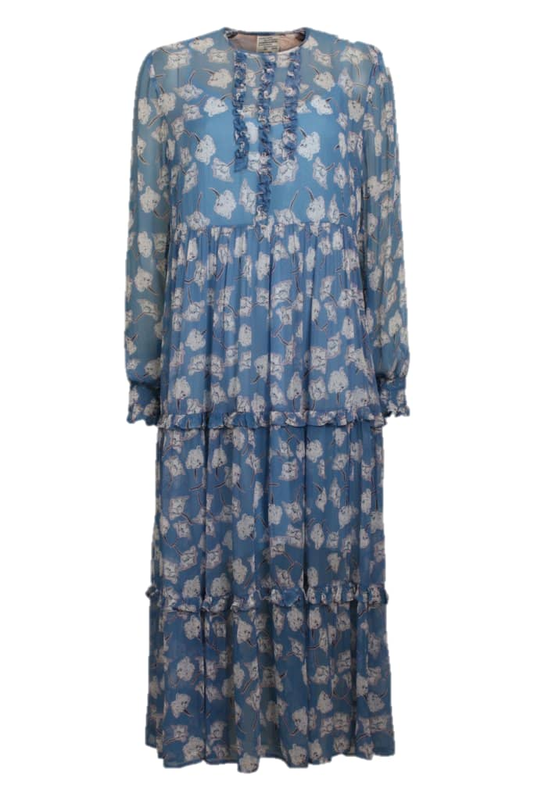 Agi Blue Flowersketch Dress by Baum und Pferdgarten Sheer maxi dress with frill details at front and skirt. Smock at cuffs and keyhole button fastening at back neck. Comes with matching slip dress.